Telangana is a newly formed state of India, but it’s cuisine is an old and established one – with it’s famous dishes like Kodi Koora (local chicken curry), Hyderabadi Biryani, Sarva Pindi, Sakinalu and the list goes on and on. Although there is no coastal area in this state, the network of rivers provide enough seafood varieties for their appetite.Hence Telangana Fish Curry (chapa pulusu) is ever popular. Hyderabad is the capital of Telangana state and is the food lovers’ destination for Mogulai dishes and many Telangana specials like Mutton curry, Hyderbadi Biryani, Haleem and Harees. 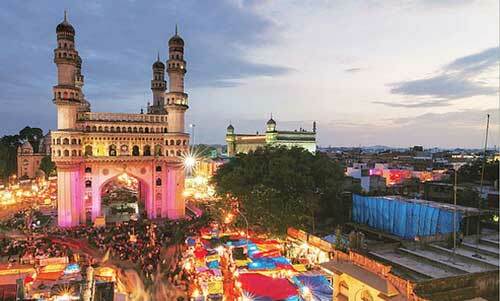 The much loved street food of Hyderabad is popular world over. Rural Telangana’s staple food is rice, rotte (bread made of local grown grains such as jowar, ragi and wheat) with variety of vegetarian, meat and fish curries. 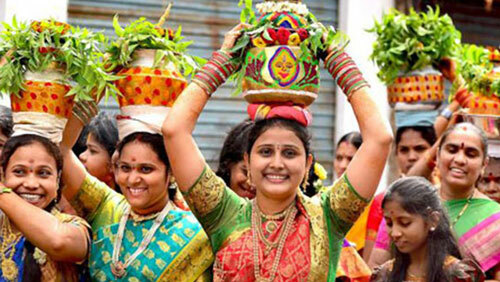 Telangana food and the festivals go hand in hand – each festival is connected with a tasty and unique dish, that symbolises the history and culture of that festival. Sakinalu, Garelu, Boorelu, Chegodilu and many other dishes are such specials for state’s festivals and folklore.